Gift card is valid 6 months from the issuing date. 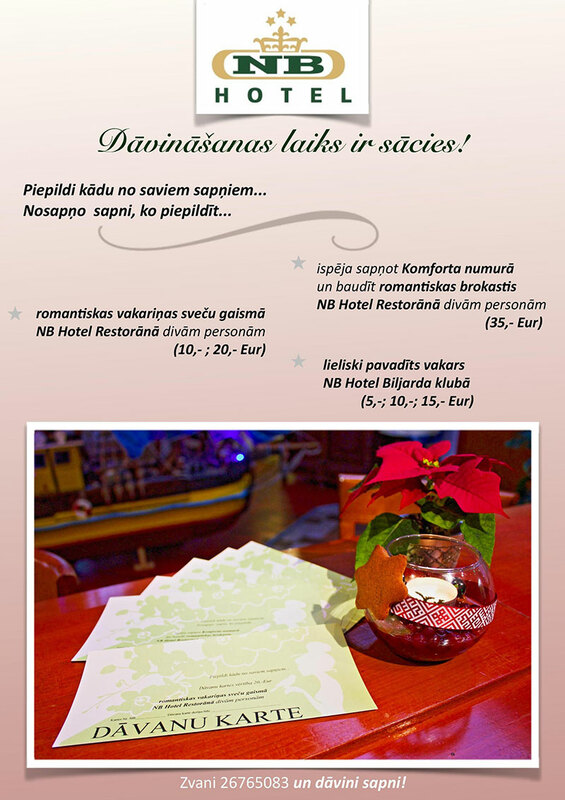 You can purchase gift card for different NB Hotel services as hotel’s room, romantic dinner in the restaurant, billiards. There are two types of gift card, where we don’t show value of the card, or you chose a gift card with defined value and card holder can choose preferred services.